The German Industrial IoT market will more than double from its 2017 levels in the next four years, reaching a volume of around 16.8 billion Euro by 2022. This is a central finding of the study “The German Industrial IoT Market 2017-2022. Facts and Figures” by eco – Association of the Internet Industry and Arthur D. Little. This corresponds to a growth rate of around 19 percent per year. In international comparison, the German Industrial IoT market is, according to the study, highly developed. With its broad and innovative industry structure and the high density of robotics, Germany counts as one of the largest Industry 4.0 markets in the world. The strongest growth driver for the coming years is the progressive digitalization of analog production and delivery processes. “The digitalization of industry and SMEs is certainly uncomfortable during the transition, and in some areas painful. Industrial IoT demands a re-thinking of the central value creation processes or even of the entire business model. But in the long term, these measures secure the position of an industrial sector in global competition,” says Lars Riegel, Principal at Arthur D. Little GmbH. The study looks at six of the most important market trends: Using Industrial IoT solutions, companies can, for example, increase their flexibility through to delivery, and equip themselves for the future through “as a service” business models. “Companies want individually tailored solutions with the lowest possible need for investment. Providers must therefore have a clear strategy with regards to the depth of their portfolios and need to establish collaborations with suitable partners,” Riegel continues. 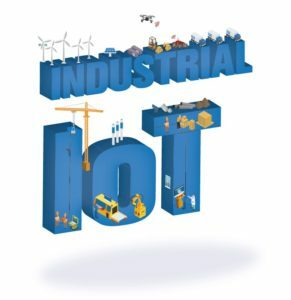 Cooperation with other companies is decisive for success, given that Industrial IoT solutions are composed of around 30 different competencies. “No company, anywhere, is in the position to cover the entire value chain from a single source. Industrial IoT is an ecosystem business model,” says Harald Summa. “This means that cross-sector collaboration is a basic prerequisite to be able to offer customers relevant services. Companies need to undergo a re-orientation – above all, they need to be open to cooperation along the value chain,” Summa emphasizes. Indispensable for this development is the secure exchange of shared data by participants in the ecosystem. This requires a comprehensive security concept, in order to avoid emerging vulnerabilities in the communication system, as well as to control remote access to the production system. We are happy to provide the study to journalists free of charge. eco members can also obtain the study free of charge on request to member@eco.de. Non-members can also obtain the free Management Summary by contacting member@eco.de, or can purchase the complete study for €149.